20 Taps! New Menu Items! Cocktails! A New Beer! Lots to celebrate at OTTO’s Spring Smörgåsbord! It may not look much like Spring out there, but everything’s new at OTTO East End (225 Congress Street). The second-oldest OTTO location, located at the foot of Munjoy Hill, has just received a Spring refresh! 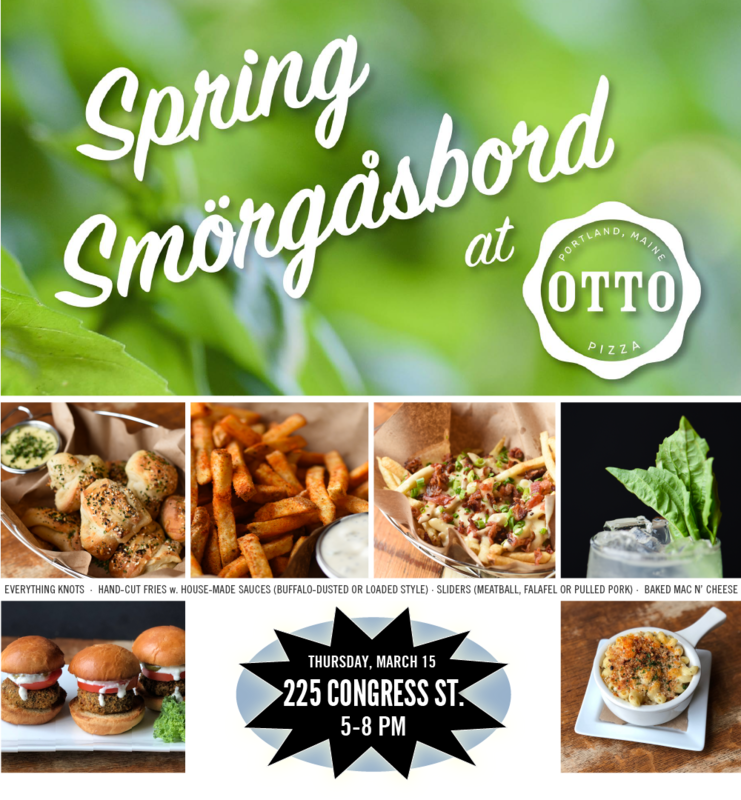 Join us on Thursday, March 15 from 5-8pm for our Spring Smörgåsbord, showcasing a bevy of exclusive new additions to the East End OTTO. During the event, 50% of all sales of new menu items will be donated to our friends, the Munjoy Hill Neighborhood Organization. We’ve vastly expanded our tap lines, and will be featuring the very best in regional craft beer! 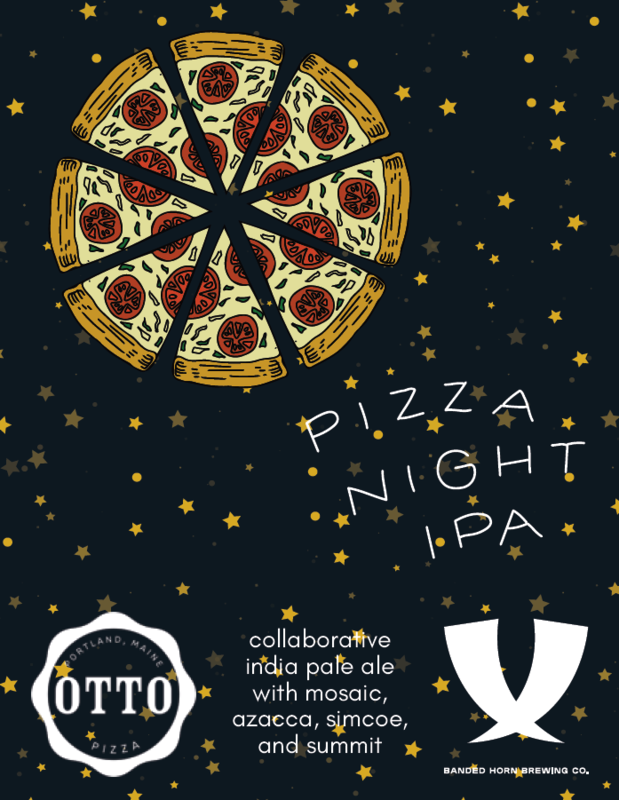 We’ll be launching Pizza Night IPA, our brand new beer collaboration with Banded Horn Brewing Co. made with Simcoe, Mosaic, Azacca and Summit hops. An herbal, grassy, piney & tropical-flavored IPA made just for OTTO. 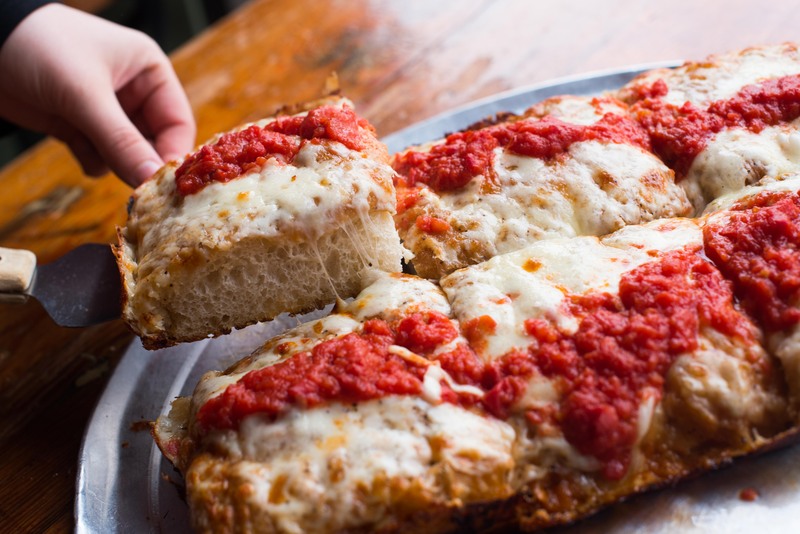 We’ve held several pop-ups in Maine and Massachusetts to perfect our take on Detroit-Style pie, and we’re thrilled to be serving it full-time at OTTO East End. Expect a delicious, square-shaped, deeper dish pie with a thick, crispy crust. Come on down! We look forward to seeing you! This entry was posted in events and tagged banded horn brewing co, bars, cocktails, craft beer, detroit-style pizza, east end, fundraisers, munjoy hill, munjoy hill neighborhood organization, pizza night ipa, spring, spring smorgasord by elshepherd. Bookmark the permalink. Marketing professional working and living in Portland, ME.